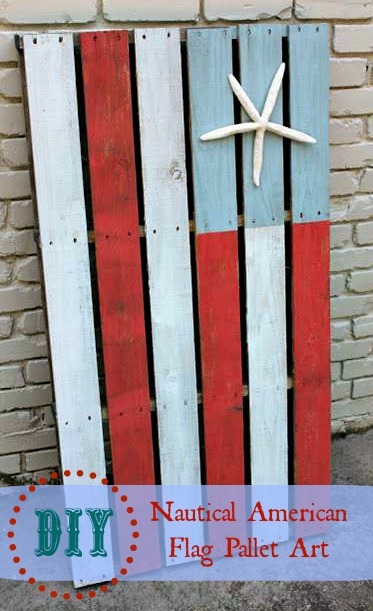 If you have access to a wooden pallet and have some paint on hand- this American Flag Pallet DIY art is the perfect coastal decor! I wanted something fun for our basement playroom and was inspired to create my very own starfish Coastal American Flag Pallet. I love how it looks in the playroom now. Read on for my tutorial for how to make this American Flag Pallet Art. Of course, it didn’t cost anything because I had all of the supplies on hand. 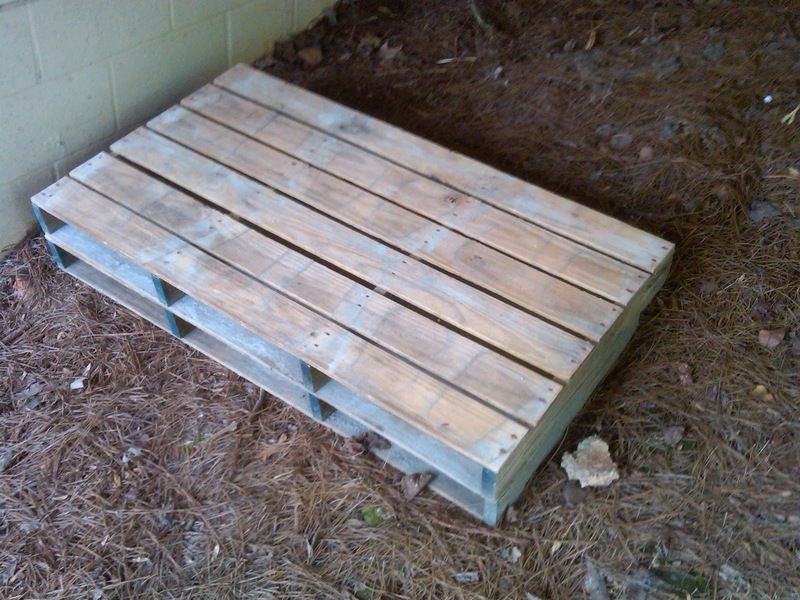 Here were the pallets before. Using existing paint from my (never ending) collection, I pulled the coral, white and aqua paints to make my flag design. Once the paint was dry, I glued the star fish as the finishing touch. Liquid Nails has become one of my favorite staples and it had no problem gluing the starfish onto the pallet. 4. Hang Up Your American Flag Pallet! I was torn on whether to hang outside on our patio… or down in the new playroom. Ultimately thinking it has found it’s home above the fireplace in the playroom. The coral and aqua really coordinate well with the US licence plate painting, globe collection, new Chevron striped rug and coral slipper chair. Still lots to do to finish this room but it is coming along! Sweet P loves coming down here and I know as he gets older he will appreciate this space even more. I am just so happy to have the toys out of ALLLLL the upstairs rooms! That looks AMAZING – and truly better than the inspiration photo. WELL DONE!! Aw, thanks so much! Gotta love FREE large art! Such a great DIY! Amazing job 😉 Thank you so much for sharing at Give Me The Goods Monday! Thanks so much and as always, thanks for hosting! Looks absolutely great in the play room – I love the star fish.